May 11, 2012 – On Tuesday, the House Judiciary Committee marked up and passed H.R. 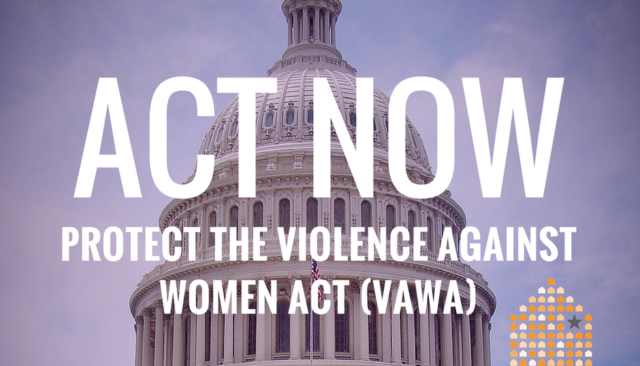 4970, a bill that would weaken the Violence Against Women Act (VAWA). Victim advocates have grave concerns about this legislation which contains changes to current law that will endanger many victims and excludes protections for specific victims. 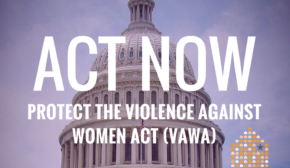 We must now turn our efforts to the full House of Representatives in order to reauthorize the Violence Against Women Act (VAWA) that improves safety for victims. The vote could be as early as next week, so now is the time for Representatives to hear from you. Several Members of Congress are claiming that Tuesday’s passage is a VICTORY for victims of domestic and sexual violence but it is NOT! H.R. 4970 rolls back protections and will harm victims. We must tell our Representatives that we strongly oppose the Adams bill. PLEASE CALL YOUR REPRESENTATIVES TODAY! Message: “The House Judiciary Committee’s passage of H.R. 4970 on Tuesday is NOT a victory – it HARMS victims of violence. We oppose HR 4970 because it is DANGEROUS because it rolls back protections for victims and does not address the needs of all victims. We support a bill like the bipartisan Senate bill that protects Native victims, immigrant victims, LGBT victims and other marginalized communities. The House must must support ALL victims” Use the Capital switchboard number (202) 224-3121 to be connected. Mofify the template letter and send to each of your U.S. Representatives. To sign your organization onto the letter on immigration, please email mrizvelasco@heartlandalliance.org by May 14, 2012. Read our fact sheet to learn more about the harmful components of HR 4970. Thank you for all that you do to support victims!